Increasingly, businesses are seeing the benefits of working in a matrix. But while this works for the organization, individuals can often find operating in a matrix, more than a little challenging. But there are some very simple things that you can do to make the matrix work for you. First up, polish your communication skills. When you work in a matrix, you need to be clear about your work, your direction and your deliverables. Different teams have their own internal cultures – and if you are new to that team or working across a division, you likely will miss the non-verbal communication at play. To combat this, over communicate – ask questions if you are unclear. Clarify the expectations of colleagues and learn to articulate your thoughts precisely. If you need to, take a course; but don’t overlook the importance of this communication. Secondly, remember there are only 24 hours in a day. When you work in a matrix, you are likely to have multiple deliverables from multiple teams. That means you must manage expectations of all involved. When asked to take on a new project, politely explain your level of utilization and then ask your project leader to help you prioritize your efforts. Make sure that this is clearly communicated to the people you report to, along with the expected impacts. Be sure to avoid over-committing and under delivering. Achieve with grace – when you are a leader in a matrix organization, many disparate teams will contribute to your success. Make sure that your success is achieved (and acknowledged) with grace. Nina Nets It Out: Matrix organizations can deliver astounding results, but attributing these results to a particular line of business can often be difficult or fraught with political danger. Leaders must ensure that they continue to emphasize communication, team work and responsibility across their matrixed teams and share the spoils of success as they arrive. Great post on matrix management, along with the reference links. Having worked in a matrixed, global Fortune 500, I can really appreciate your advice. Newly hired managers found it extremely frustrating, but it can work if the steps you’ve listed are followed. Thanks as always for your readership and support! As you know, I am a huge fan of communication in difficult business situations / environments, and matrix organizations really push the boundaries of many. 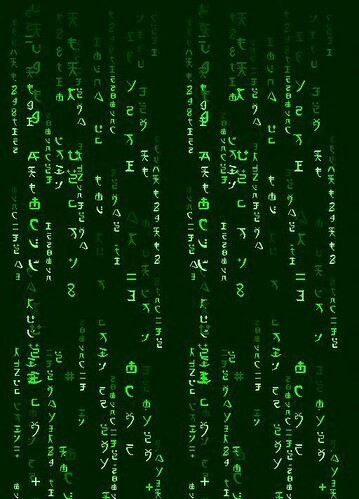 Making the Matrix Work For You | NinaSimosko.com great article thank you.